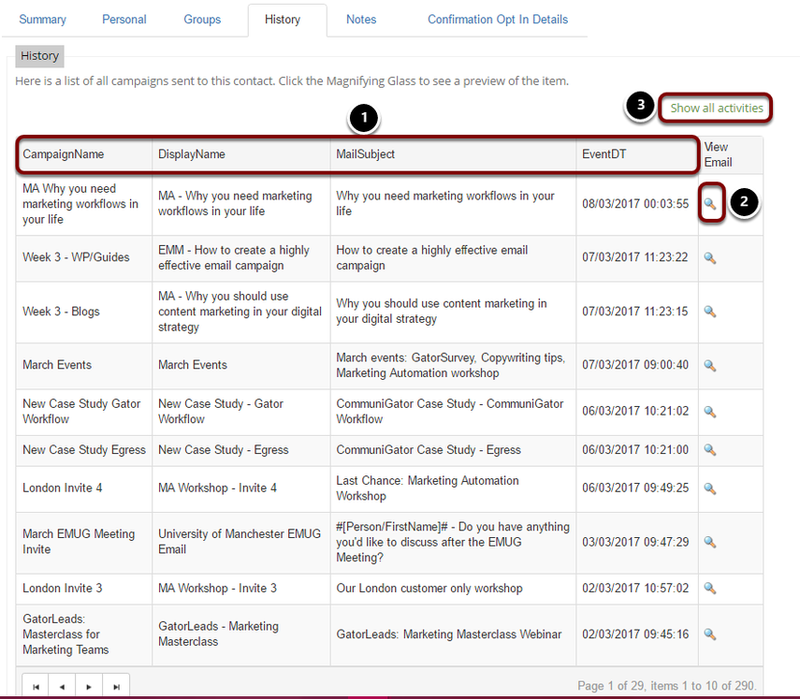 Identifying which campaigns a specific contact has been included in can be useful for any statistical analysis you might have. 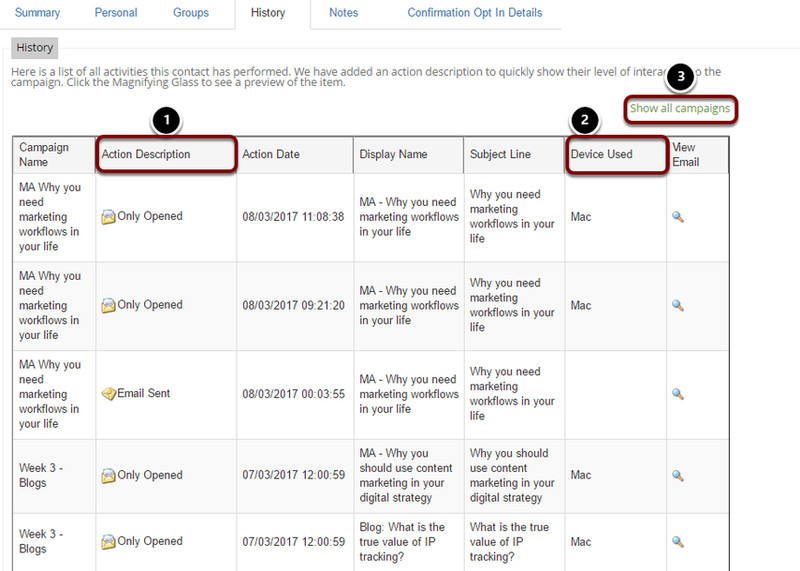 Contact history helps you to do this as it presents a historic record of the campaigns that have been actioned by that particular contact. 3. Click on a the contact you wish to see the History of. See details, such as CampaignName, DisplayName and MailSubject of the campaign where the action took place as well as the date and time. View a copy of the original email. View all activities to see the specific actions taken by the individual. See the actions that took place, the date and time, and the campaign details. See the device or web browser used when taking action on the campaign. Go back to view the historic record of the campaigns.